Europe-based charter specialist Vertis Aviation recently added a second Boeing BBJ to its offerings. This one is operated by Longtail Aviation, based in Burmuda. Switzerland-based long-range VIP charter management specialist Vertis Aviation has added a second BBJ to its fleet, as its growing Middle East client-base warms to its product portfolio–especially one-off trips that circumnavigate the globe. The BBJ is operated by Bermuda-headquartered Longtail Aviation, and brings the available Vertis fleet to six long-range aircraft – two BBJs, an Airbus ACJ, two Bombardier Global 6000s, and a Bombardier Global Express. “Vertis Aviation has had a plethora of clients, indeed the full spectrum, in the last month,” said Catherine Buchanan, chief commercial officer. “That includes heads of state, royal families, government ministers and the like. We had a lot of flights to the U.N. General Assembly in New York recently and, at the smaller end, in Europe, we see HNWIs, but not UHNWIs, [going to places] such as, for example, Ibiza, or [on] family trips. “If Vertis Aviation doesn’t have availability on our fleet, or the client is looking for a different type of aircraft, we will sub-charter an option from one of our many industry partners. We really do cover the full spectrum,” Buchanan said. 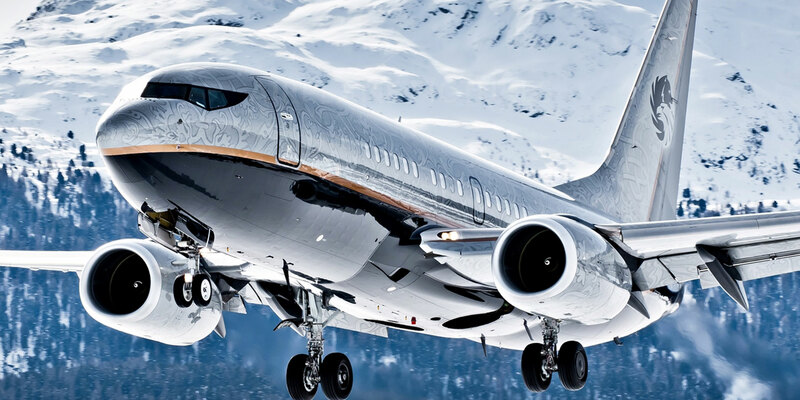 The Vertis business model aims to help operators of long-range jets maximize operational efficiency by acting as their “marketing” department for aircraft charter. Jets are often operated by a small operator with a fleet of only one or two jets, who don’t want the trouble of chartering, but want the income that it can generate. Vertis does not operate aircraft, but arranges for their charter via third-parties, with a special focus on long-range aircraft types. “We consider ourselves the operator’s marketing department. We partner with independent operators, in most circumstances, to offer efficient solutions. We can contribute to the marketing of the aircraft and provide advice on commercial management of the jet. We are seen in the industry as a quasi-operator, as we do not have an AOC, but as the ‘marketing’ team, we are at the frontline of the operation,” she said. Vertis Aviation’s headquarters is in Zug, while the company has other offices in London, Johannesburg, Dubai, and Belgrade. Buchanan said the operations of each owner in the Vertis portfolio, whether for own use or charter, are unique, even on a year-to-year basis. “One year, they might wish to charter the aircraft 60 percent of the time. Another, they may need their aircraft 80 percent of the time, making it available for charter only the other 20 percent. It is completely seasonal as well,” she said. Vertis has gained a reputation for organizing trips that involve circumnavigation of the globe. In a recent Middle East example, honeymooners took in Singapore, Cairns, Hamilton Island, Sydney, Queenstown, Tahiti, Mendoza, Buenos Aires, Texas, Los Angeles, and Paris before returning to the region. “We have done several round-the-world tours. These have involved film companies, music bands, as well as a couple of honeymoon tours—Middle East couples who set out to see the whole world,” she said. “We are experiencing a solid rise in demand for aircraft that can accommodate complex trips, and we’re arranging an increasing number of global circumnavigations. This type of aircraft perfectly fulfils all the requirements for these very special journeys,” said Vertis partner Jeffrey Emmenis, of the Longtail aircraft. Trip costs with Vertis Aviation vary enormously, with prices ranging between €5,000 and €1.5 million ($5,700 to $1.7 million). “On our bespoke trips, we work with everyone. We go down to the finest details, not just about the physical charter, but ensuring the client’s favorite wine is on board, favorite restaurant food is available, and the favorite ground handlers are in attendance. We look at everything, and problem-solve before everything happens,” Buchanan said. Other clients include fans of Middle East sports teams, such as football clubs. These tend to charter aircraft for fans in the Middle East as well as in Europe. This is less the case in the U.S. However, trips can often involve clients from America, Africa, Europe, and the Middle East. "The African market is incredibly competitive. There are a limited number of high-end clients. Everyone knows who they are. In Europe, clients from the UK, Germany, Switzerland, and France are the main players,” she said.